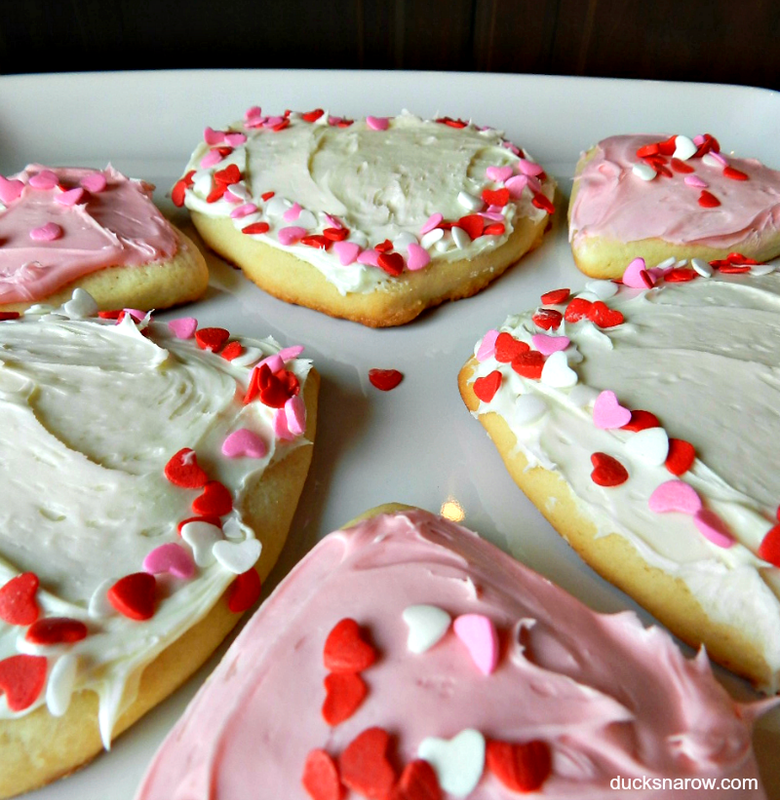 Add a little sweetness to this Valentines Day with some simple heart shaped sugar cookies. This rolled sugar cookie recipe is so easy to make. Use prepared frosting in a can to decorate them, add some pretty pink sprinkles and you’re done! Cream softened butter and sugar in a large mixing bowl. Add eggs and vanilla, mixing on medium speed. Add baking powder, salt and flour (add flour one cup at a time) and blend. Separate into two sections of dough. Refrigerate 1 hour up to 24 hours. Lightly flour a clean counter. Roll one section of dough, using a rolling pin, to about 1/2 inch thick. Bake 6-8 minutes till very lightly brown. Tip: use a tub of prepared vanilla cake frosting. If you want pink, add a few drops of red food coloring and mix it through. I covered a few of the big cookies with white frosting, and then added the food coloring to do the little ones with pink. After I frosted each one, I just decorated it with pretty Valentine sprinkles !